I’ve decided that since I’ve seen every bit of Oakland’s sidewalks, it’s now OK to fill in missing dates of Oakland’s sidewalk makers from out of town. Here’s the first installment. 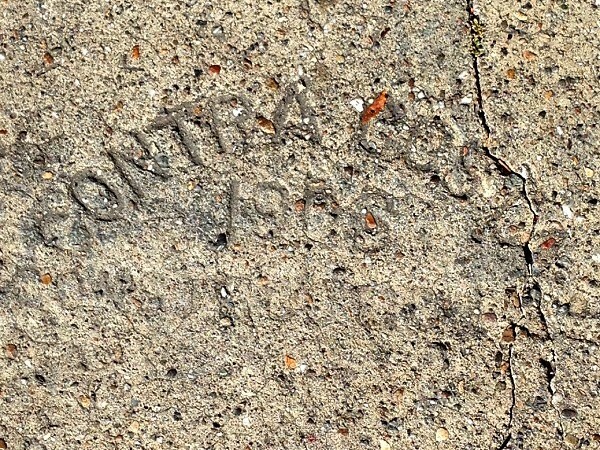 1905 – Contra Costa Construction Co.
There’s just one example of this mark in Oakland, from 1904. 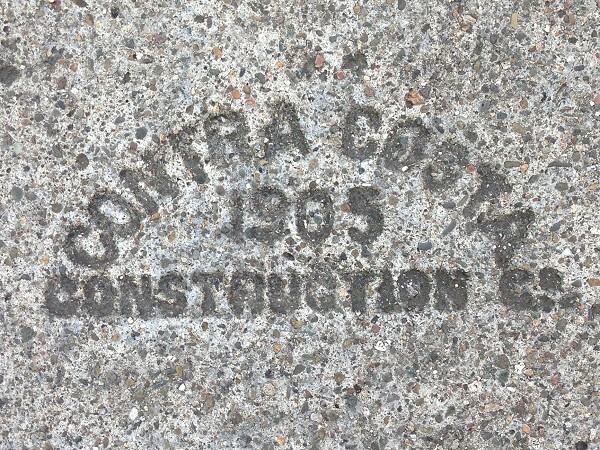 1906 – Contra Costa Construction Co. This is in front of the Hot Cups Cafe. The building has a plaque on the front, on Shattuck Avenue, stating that it was the first site of the California Academy of Arts and Crafts (now CCA). 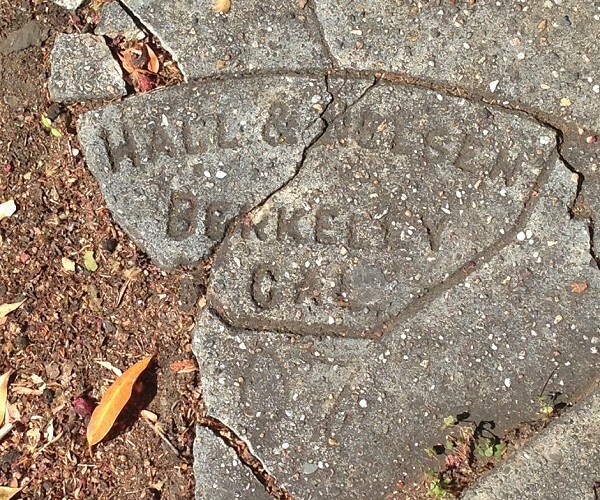 There is only one example of this mark in Oakland, from 1918. Blake & Bilger marks are rare and special, so I’m pleased to add a new year’s date from this iconic Oakland firm. This is a better mark than my previous example from this year. 1910 – The Oakland Paving Co. Even before I started this blog, the pair of marks at the corner of Cross and Romany Roads stood out to me. I imagine that the workers of The Oakland Paving Co. were eager to show off their work in the then-new subdivisions of Broadway Terrace. 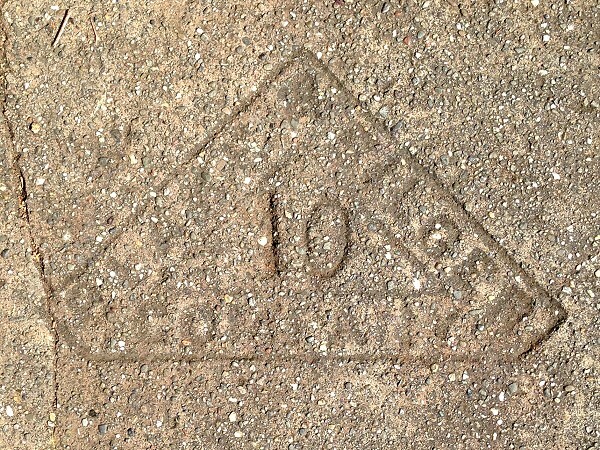 Consequently this mark is deep and precise, ready for another century of service. 1910 – Frank Salamid & Co.